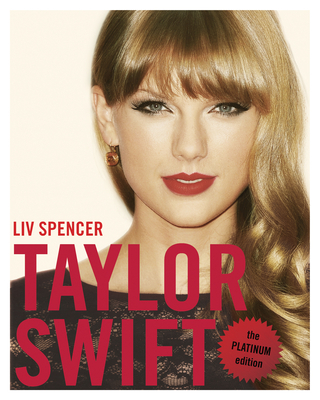 This bestseller is now newly revised and updated Taylor Swift: The Platinum Edition gets to the heart of this superstar with albums and singles that head straight to the top of the pop and country music charts, a shelf full of awards, and millions of fans around the world. Fans looking for Taylor's complete story should look no further than this detailed biography, which chronicles her childhood in Pennsylvania where she was teased and bullied, to her early days trying to land a record deal by personally dropping off demos at Nashville record companies, to the performance that led Taylor to her current label -- and international fame. Includes details on her 2012 album Red and coverage of all her recent romances and adventures in the spotlight. Liv Spencer is the author of "Love Bites: The Unofficial Saga of Twilight," "The Miranda Cosgrove and iCarly Spectacular: ""Unofficial and Unstoppable," and "Rosewood Confidential: The Unofficial Companion to Pretty Little Liars." She lives in Toronto.